Discovery Community College is committed to hands-on training and to graduating work ready students who are sought after by employers. At Discovery, we strongly believe in the “learn by doing” philosophy. Our focus is on graduating fully-skilled, work-ready employees. The specialized career training programs from Discovery Community College are designed to equip you with all the knowledge and practical experience you need to achieve your career goals in a short period of time. That means you can be earning more money in a career you care about –without spending years in a classroom. As part of our goal to offer the best hands-on training to our students, Discovery Community College has formed alliances with numerous distinguished community partners. 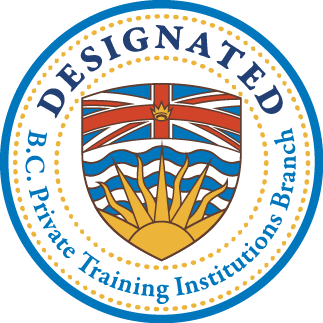 We are also registered with and designated by the Private Training Institutions Branch of British Columbia, formally PPSEC, since 1996. Designation is a process undertaken by schools who wish to prove their excellence by external standards and increase consumer confidence in their educational product. The process is controlled by the PTIB (The Private Training Institutions Branch), a government organization. Because Discovery Community College has successfully completed the designation process, you can be sure that our performance in educational and administrative areas, the competence of the instructional staff, and the satisfaction rates with our students all exceed academic standards. Is Discovery Community College Right For You? If you’re interested in learning more about Discovery Community College and taking the first step toward exploring whether this is the right path for you, fill out the form on this page to receive more information. Our friendly and knowledgeable Admissions Representatives are happy to answer any questions you have. 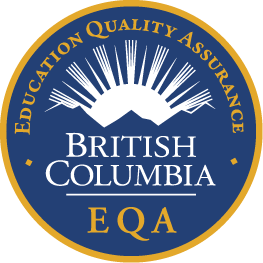 To speak with an Admissions Representative right away, give us a call at 1-877-315-5241.